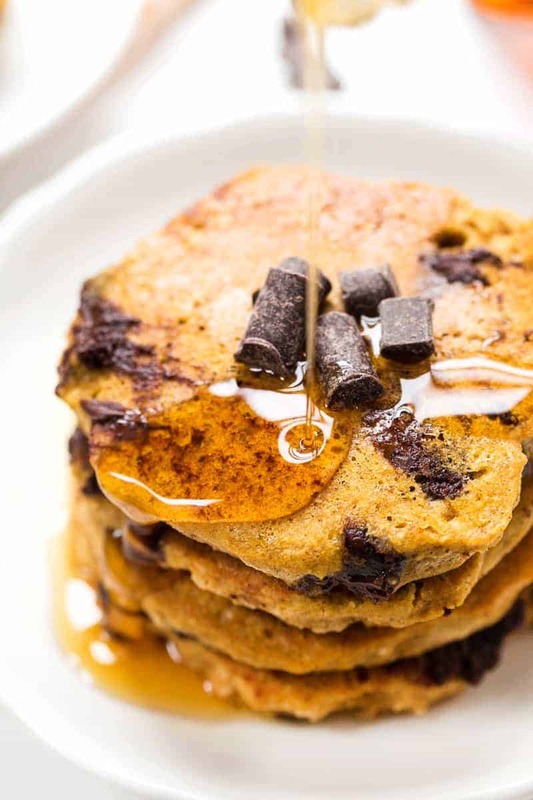 These Vegan Pumpkin Chocolate Chip Pancakes are the perfect healthy treat to start your day. Packed with fiber, they're also free of the top 8 allergens! It's that time of year again, my friends. And I hope you're ready! Pumpkin season is officially upon us (at least here at the SQ headquarters) and I'm pumped. 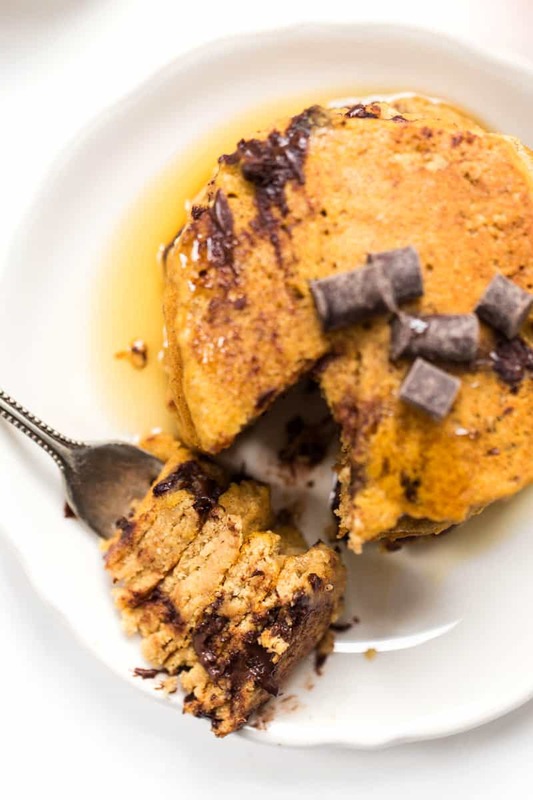 I've got so much fun pumpkin-themed content coming your way and we're kicking things off with a bang: Vegan Pumpkin Chocolate Chip Pancakes that are light, fluffy, sweet and over-the-top delicious! In looking through the archives of the site, I was surprised to find that I've made 13 different pancake recipes! We've got everything from Fluffy Vegan Blueberry Pancakes to Zucchini Quinoa Pancakes and even Healthy Carrot Cake Pancakes, but we were definitely lacking in the pumpkin department. Pumpkin Pancakes are probably one of my favorite varieties. 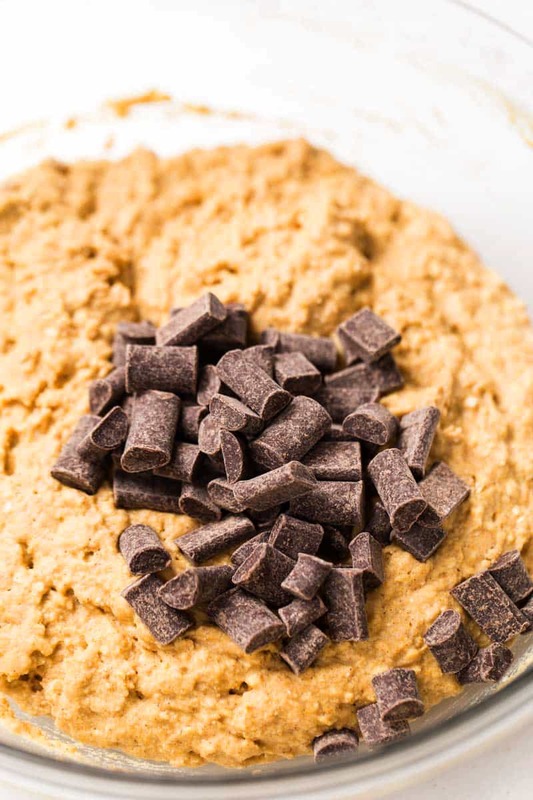 Not only do they taste like pumpkin pie (<- fave dessert), but they're also quite healthy. The pumpkin adds a slew of nutrients that you wouldn't get from just using almond milk, like vitamin A, vitamin C and fiber. Plus…there's chocolate. So how can we go wrong? I've changed up my traditional pancake base to give you one that is allergy-friendly. 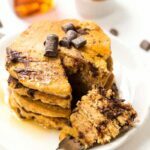 I know a lot of you are allergic to nuts, and specifically almonds, so I wanted to give you a pancake recipe that is not only gluten-free, but also nut-free, egg-free and vegan. So that's what we've got! 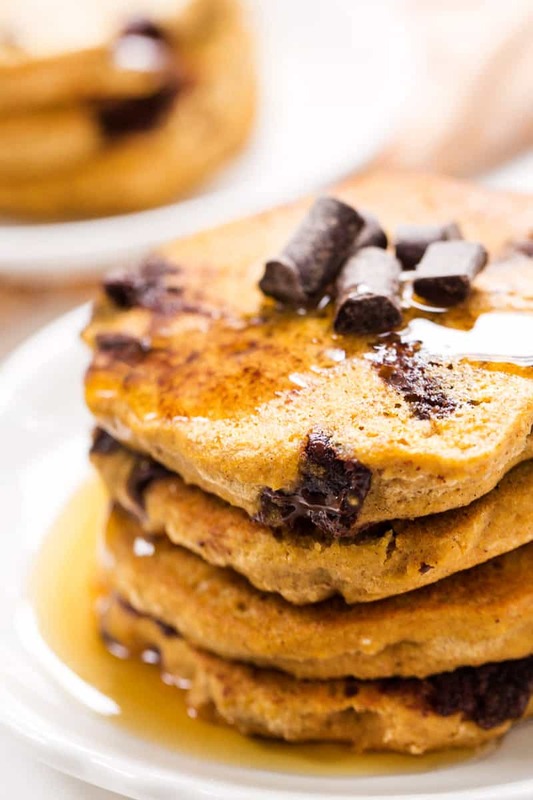 A vegan pumpkin chocolate chip pancake recipe that is free of the top 8 allergens! My favorite brand is Enjoy Life Foods because it's vegan and allergy-friendly. They have three different products to choose from and you can get them at places like Whole Foods, or also online at Amazon and Thrive Market. And if you're feeling like chocolate is just a bit too decadent for you this morning, you can, by all means, skip it. Instead, you'll have a batch of fluffy vegan pumpkin pancakes and they will be every bit as delicious. Honestly, you really can't go wrong starting your day with pumpkin pancakes! I mean…don't they just look heavenly!? I can't wait to hear what you think of this recipe! If you end up making it, please share a picture with me on Instagram 🎃 you can tag @simplyquinoa or use #simplyquinoa, and that way I can easily find your photo and give you some lovin' in return! Whisk all your dry ingredients together (minus the flaxseed meal) in a medium bowl and set aside. In a separate bowl, beat in the flaxseed meal and the wet ingredients until smooth. Pour this over the dry ingredients and stir until the batter is smooth. You want it to be slightly runny but still hold its shape. Fold in the chocolate. Test to see if your pan is hot by flicking water on it. If the water sizzles, you’re ready to cook! Grease the pan with a bit of cooking spray. Ladle the batter onto the pan and cook the pancakes until little bubbles begin to form in the batter, about 2 – 3 minutes. Flip them over and cook for another few minutes. Serve with you choice of toppings (additional chocolate chips + VT maple syrup get my vote! ), and of course, enjoy! Can I use smashed sweet potato instead? Hi, can I use regular all purpose flour for this? 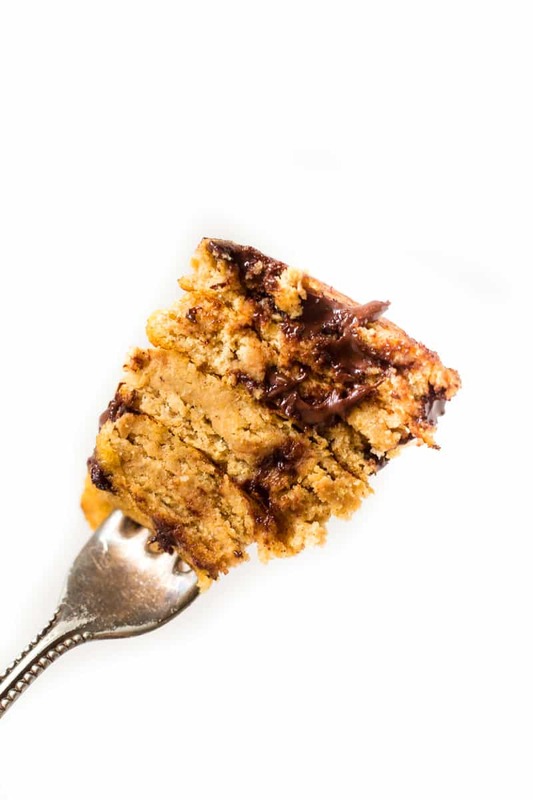 I haven’t tested with AP flour since I’m gluten-free, but you could certainly try! Woo! Can’t go wrong with pumpkin-flavored anything! They look like the perfect pancakes! Is there a substitute for sorghum flour? Can’t find that where I live. I love anything pumpkin and I really want to try this recipe. 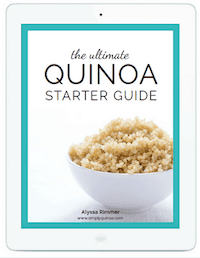 I think you could do millet, quinoa or even try more brown rice! Talk about a tower to heaven! These look so scrumptious, and I love the pumpkin twist!